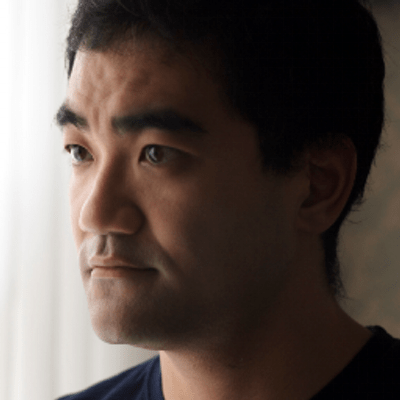 Dai Fujikura (1977*) is one of today’s rising composers. Having enjoyed some of his works in concert or on CD and knowing his first opera – Solaris – was going to be created at the Théâtre des Champs Élysées on March 5 (see), I asked him for a meeting which he readily granted me. His biography summary is here. This man is a clever and brillant one, yet open minded and easily accessible: not a “French big head”! I’ll try to keep here the free dialog we had. TV: You are one of the very few contemporary composers I know whose earnings come only from his compositional work. How do you make it? DF: I have no idea! I would say I, or rather we (as I have a family to support) “survive”, somehow from composing. But then looking at most of the composers from the past, a lot of them seem to have been quite poor, so maybe it is traditional. Almost all of my income comes from commissions. But so often the contract negotiations with the commissioning body take ages, sometimes as much as half a year or more. I find I often finish composing the piece before the contract is executed! I don’t know why a 2-page commission contract takes that long to be drafted and negotiated before it is signed. Maybe they have a lot of other bigger, important projects than mine and just don’t have time to get round to mine. A friend of mine who is in the music business told me that they often use delaying tactics, while they wait for the result of the grant application they have submitted, or for some funds to come in. Anyway, I am not sure I can explain all these complications to my landlord! I have one rule, that I will never compose music under time pressure. I believe it is essential that I enjoy composing, however hard it might be at times. Time pressure will not do me any good. Therefore I usually start composing the work early with a view of completing it long before the deadline. I won’t accept a project which is too close to the deadline, and I often finish the piece well before the world premiere. In doing so I can prove that I completed the work purely for artistic reasons, not scrambling to meet an artificial deadline. It also means the musicians have no excuse if they are not prepared by the first rehearsal, as I know the musicians have had the score for 6 months or more! My reason for trying to make a living from composing is quite silly and simple. I always loved composing music since I was 8 years old. From the moment I found out how much fun it is to write my own music, I composed all the time, every day. That’s all I wanted to do. Then when I grew up, I found out that one has to do something to earn money to pay rent and buy food (shock horror!). I did get a job as a floor manager at McDonald’s on the ferry between England and France for 6 weeks when I was 18 and various other piano teaching jobs later. I could possibly have got a normal job Monday to Friday doing something other than composing and do composition just at weekends. But that would mean composing only 2 days out of every 7, if I didn’t rest at all. That didn’t seem a good idea for me, as I knew I wanted to compose all the time, every day. So naturally in this situation, my only option was to try to earn money as a full-time composer. Quite often I get asked to write a new piece by a musician whom I admire – both musically and as a person, and we spend the next 2 – 3 years trying to find music festivals or foundations to support the commission and secure world premiere opportunities. I often think if I were to win a lottery, I could say YES to all those musicians who are asking me to write new works and for whom I want to write. I could start writing straight away without any of those complications. Anyway that’s a fantasy….quite a naïve and simple one. I just want to write music for people I like and who are strange enough to want music from me. Additionally, I recently started my own online shop. I am selling my published scores and commercially-released CDs from my website. I have recently made an agreement with my publishers so that I can sell my scores in digital format from my site as well as the printed copies. I do this because I want to connect with the people who are interested to learn my music. My music is often technically quite hard to perform. Therefore the people who are interested in performing my works are often professionals or very talented young students. I would imagine they would have to spend a considerable amount of time to practice to be able to play the piece. I appreciate this very much. If it is literature, people buy books and read them, and that’s it. The musician who buys a score also has to work hard after obtaining the music – in order to play it. I think it would be nice if we could all be connected somehow – the composer who created the work and the players who spend long hours practicing in order to perform it to an audience. TV: Contemporary composers get premieres, but rarely ‘seconds’, what about you? DF: Actually, Rare Gravity had its world premiere in July 2014: since then it’s been performed 10 times within 6 months, with 3 different orchestras in 4 different countries. Tocar y Luchar, another orchestral work of mine, initially written for and premiered by Gustavo Dudamel, has been performed a lot. I don’t know how many times now; I lost count. I was told the next performance of this will be by the Toronto Symphony Orchestra in a few weeks’ time. DF: I have been working on it for a year and a half. I’m working these days on the real-time electronics part in IRCAM. The whole opera has been previously recorded entirely by the Ensemble Intercontemporain for us to simulate the orchestra and experiment how the electronics react, in the studio in IRCAM. Electronics are all “live”, responsive to what it is played or sung. The electronics will be “performed” at each show. The electronics will behave differently each time, according to how the singers sing, and how the orchestra plays. TV: How do you compose? DF: I started composing when I was 8 years old, trying to avoid practicing the piano. At 13, I had my first composition teacher – a 30 minute lesson every 2 weeks; I would spend the whole lesson playing my compositions to my teacher, that I had composed over the previous 2 weeks. Later on in London at Music College, I had a wonderful composition professor, Daryl Runswick. He used to tell me he was scared to see me at the first composition lesson after the holidays, because I often came with a bag full of scores I had composed during my vacation and I wanted to show him everything. Usually I start my compositions by putting them on paper, then store them on computer (Sibelius software), so that I don’t lose them. There are two main advantages to writing music on computer for me: First, I generally start a piece by writing some bars, some fragments, and it is easy on computer to gather these pieces together and see if they match or to find out how could they match. Secondly, it gives you distance from your handwriting: I used to have pretty good handwriting. However when I look at my hand-written score, I might think “it looks great!”, but only when it’s displayed on the screen – let’s say in a cold way – can I realize if it is really great or not. Looking at my own hand writing gives me an illusion of something personal, but not necessarily so in sound. (The only thing that matters in music is sound. For me nothing else is important.). To detect this, once I put them into the computer, then look at them, it is as if it is composition by someone else. It helps me to judge my materials more objectively. I have withdrawn many early works from my catalogue, but I’m happy with the current catalogue, – those works which remain. (see). I always enjoyed French music. I found it easier to listen to than the German music when I was very young (now I LOVE German classical music!). For me, Debussy’s or Boulez’ music – where everything sounds like a resolution without “suspension” – is like a perfect cake: wherever you slice it, you see perfect images. Now that is perfect music for me. TV: One of the purposes of my blog is to bring music lovers to contemporary music. Usually, if they are accustomed to Mahler, I try to start with Berg’s 3 pieces for orchestra. DF: I have been asked by many people to introduce contemporary music. I have met a rather popular conductor who felt he had to go beyond his own limitations. He already had a career with conducting Brahms or Mahler and asked me to guide him through contemporary music. I started with Ligeti, and he told me, “No. The harmony is wrong all the time to my ear!”, so I suggested Berio’s Sinfonia, then Takemitsu, but with no success. Then I introduced him Boulez’s Explosante-fixe and Cage’s prepared-piano music and he found them great. Since then I have seen Xenakis, Boulez, and Ligeti on his rather popular orchestral programs and he told me Ligeti’s harmonies sound wonderful now! So I found everyone reacts differently and each has experienced different musical paths in their own past. Where to find a “trigger” is the key. Once you found the trigger, then you can expand from there. For me, I had a lot of trouble liking Mahler (I love Mahler now, but it took a lot of effort.) So if you had introduced me to Mahler and then to Berg’s 3 pieces (which isn’t contemporary music anyway) when I was very young, I would have hated everything. For me Ligeti’s music was much easier to get into (when I was 18 year old or so). From there I was able to progress to other contemporary composers’ works.